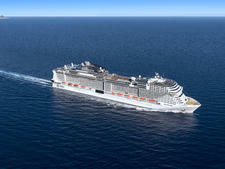 The 133,500-ton, 3,300-passenger MSC Fantasia debuted in December 2008 as the largest and most innovative cruise ship ever built by Italy-based MSC Cruises. 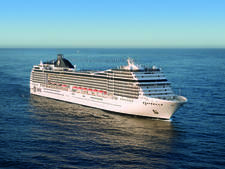 Along with sister ship MSC Splendida, which followed a year later, it represents a brand-new class for the rapidly growing line. 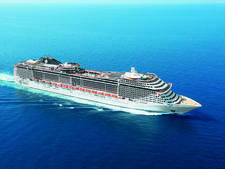 Simply put, MSC Fantasia is a beautiful ship. Cruise lines throw that "beauty" description around a bit too liberally, but Fantasia is special. The atrium area is lofty and towers five decks; the colors in the public rooms and cabins are vibrant without a hint of gaudiness. 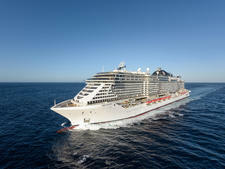 As a prototype, Fantasia offers a blend of MSC's signature features with a handful of novel twists. The most notable new-to-MSC feature is the Yacht Club, a luxurious ship-within-a-ship living space, pioneered by Cunard with its "Grill-class" and NCL with its Courtyard Villa complex. Also new are the fleet's first retractable-roof-covered pool, a popular destination when the weather turns foul, and a 4D cinema that takes strapped-in passengers on a cosmic coaster ride. On the evolutionary front, Fantasia boasts the fleet's highest ratio of balcony cabins, an expanded version of the line's staple Balinese-style spa and a pair of for-fee alternative restaurants. 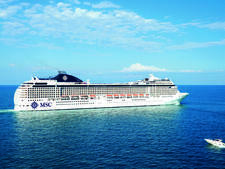 In North America, MSC Cruises is mostly known in for its hybrid Italian-American-style cruises to the Caribbean. 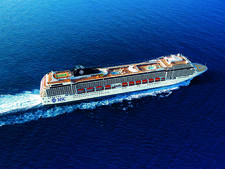 Beyond its efforts to reach out to North Americans in the Caribbean (and, in 2010, Canada/New England), MSC is already one of Europe's leading cruise lines, particularly for travelers from Italy, France, Spain and Germany. But, the expanded range of facilities and the steady inclusion of English in announcements and printed material shows that the line is also targeting travelers from the U.K., U.S. and Canada. It's important to note, however, that MSC's style is definitely European. 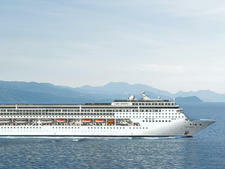 English-speaking travelers who are comfortable with European service and cuisine will find the ship a delight. 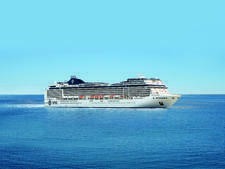 Those who prefer a more traditional experience -- in service, food and activities -- may find MSC Splendida and Fantasia to be a bit too exotic, at least in cruise parlance. At about 75 percent, MSC Fantasia's ratio of cabins with private balconies is not only the highest in its own fleet, but it also ranks quite well among all new ships. 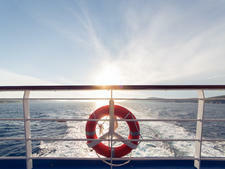 The major benefit to a high ratio for verandahs is that the more balconies a ship offers, the more affordable they are. 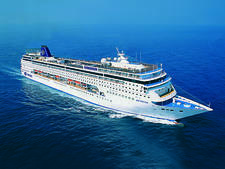 A standard balcony stateroom measures 194 square feet, not including verandah, which is just above the industry average. One of Fantasia's most intriguing features is its Yacht Club. 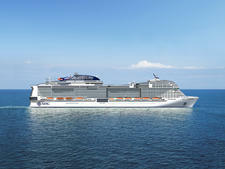 The aforementioned ship-within-a-ship concept surrounds a luxury enclave of cabins and private facilities (including a lounge, pool areas and dedicated areas in the main dining venues). For travelers who want to blend a luxury cruise experience's service and amenities with big-ship features like entertainment, spa and kids programs, this ship is a fantastic splurge. One of the big surprises on MSC Fantasia is the restaurant scene onboard. Beyond the traditional main dining venues -- which include the set-table, set-time Red Velvet (in the center of the ship) and Il Cerchio d'Oro (aft), as well as a pair of buffet restaurants that are typically open for breakfast and lunch -- Fantasia offers a nice variety of dining options. These include L'Etoile, an intimate and red velvet-romantic French restaurant; the boisterous Sombrero, for Tex-Mex; an evening-only pizzeria; the Sports Bar for fast food fare; and La Cantina Toscana for Italian wines and tapas. 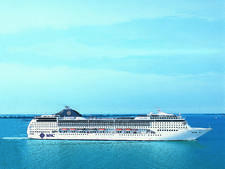 Unlike most cruise lines that market to Americans and Canadians, the specialty eateries here -- including L'Etoile, La Cantina Toscana, the Sports Bar, the Italian wine bar and El Sombrero, -- don't levy alternative restaurant surcharges, which can range from $5 to $30 on other lines. That's good, but here's the difference: On Fantasia, the restaurants all operate on an a la carte basis. Instead of a blanket service fee, you pay for every menu item you order. Prices, for the most part, are extremely reasonable and are, to some degree, subsidized by your cruise fare, so you're not paying full retail. At El Sombrero, a huge burrito with freshly grilled chicken, which could comfortably feed two hungry adults and a couple of kids, was about 5 euros. 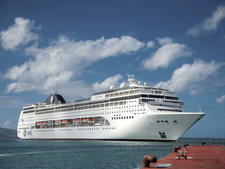 Editor's Note: Most Europeans, as my European husband told me, won't pay extra to dine on a cruise ship. Indeed, one evening, anxious about getting a last-minute reservation for L'Etoile -- where options include foie gras, escargot, a delicious rack of lamb and creme brulee -- I was shocked to see that we were the restaurant's only customers, at least for an hour or so. The wine and tapas bar, a staple on MSC's smaller Musica-class ships, is back and is one of our favorite spots onboard. On MSC Fantasia, the space is called La Cantina Toscana; there's a hefty list of wines from provinces across Italy, along with Italian cheeses and meats. 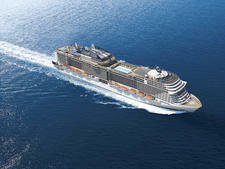 We also like the MSC Aurea Spa, a vast complex that includes a spa "bar" (for juices, tisanes and the like), a gym, a Turkish bath, a relaxation room, treatment areas and a dedicated spot for yoga classes. The gloriously colorful I Tropici pool, one of two major pool areas onboard, is the first in the MSC fleet to come with a magrodome (a glass roof that encloses the area). This was added so that the ship could sail winter seasons in the Mediterranean, offering passengers a chance to swim, even when temperatures are too nippy for outdoor recreation. The two-deck area was a magnet for passengers on our winter Mediterranean cruise, whether Fantasia was at sea or in port. We also love the aforementioned Yacht Club, which creates a private, upscale atmosphere, even on a mega-ship with 3,000-plus passengers. While not necessarily a "huh?" one noteworthy point to make in this regard is that Europeans are far more accustomed to a la carte pricing onboard than are Brits and North Americans (who'd call it nickel-and-diming). As we noted earlier, alternative restaurants don't charge a service fee on MSC Fantasia, but you will pay for each menu item you order. Room service is not inclusive; again, passengers are charged per item. The kids onboard our cruise were clearly engaged and having a blast -- evident in the fact that they didn't spend a whole lot of time pulling pranks or dominating stairwells. And, they obviously had fun with their parents! 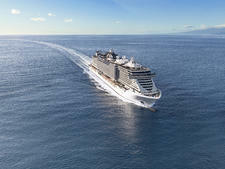 MSC Fantasia is marketing itself very strongly as a family-friendly experience, with "kids sail free" promotions that will definitely change the ambience during school holiday times, including summer. While there were kids onboard our January voyage, not a mainstream break time for schools, there weren't enough to materially change the tempo of the trip. During holiday periods ... expect that there will be. Editor's note: Be aware that, because MSC is a European company, staff can legally serve alcohol in the bars to anyone older than 18 years of age and pour wine for teenagers (with parental approval). 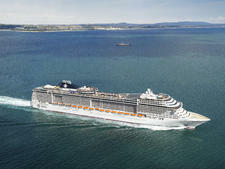 MSC Fantasia is one of the most beautiful mainstream ships we've cruised on in the last few years. It is a good choice for budget-minded European cruisers, as well as North Americans who want to bring the international experience of a Mediterranean itinerary onboard. It's important to remember that if you're an English-speaker who chooses an MSC cruise in the Mediterranean, odds are that you'll be in the minority. For us, the multinational flavor was half the fun, and our informal Cruise Critic get-together -- which consisted of two passengers from Germany, two from Bosnia, one from Finland and one American -- really epitomized what made our cruise on Fantasia a special experience. Sure, it can occasionally be annoying to hear everything in five languages, but it doesn't happen as often as you'd think. (The safety drill's a trial; I was grateful that our muster station was in the sports bar -- there was EuroSport coverage of swimming and diving championships being broadcast on flat-screen televisions!) Otherwise, each language-oriented nationality has a social staff representative who creates the daily newsletter and is available to solve problems. At the captain's welcome party, I could only listen in awe as the man in charge smoothly (and without notes) gave his speech -- first in German, then English, Spanish, French and Italian. If there are hiccups onboard, it has more to do with clashing cultures and language challenges than it has to do with ineptness. It's also important to note that the service culture on this ship (and those in other Europe-based fleets like Costa Cruises) is really different from that on American-based cruise lines; as long as you understand that, you'll have a fine time on Fantasia. Cruise Critic member Heinbloed, a German who was onboard, told me that the difference could be summed up thusly: "On Holland America, if you ask 'where's the restroom?' a crewmember will, literally, take you by the hand and guide you to it. 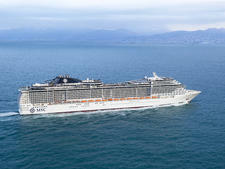 On MSC, they'll basically point to some spot far beyond and move on to the next passenger."